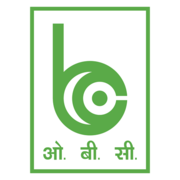 OBC Recruitment 2019 - Job notification for Chief Learning Officer Post in Uttar Pradesh on Contract Basis. Applications are invited by Oriental Bank Of Commerce (OBC) on or before 28 Feb 2019 for 1 vacancy. ₹500 (non-refundable) Application fee payable by way of Draft drawn on any Nationalized/ Scheduled Bank drawn in favour of "Oriental Bank of Commerce - Recruitment of CLO" and payable at Gurgaon. 55 years to 65 years as on the date of application. i) The applicant should be Post Graduate-preferably in Economics/ Statistics/ MBA preferable in Finance Administration from a reputed institute. ii) The applicant must possess minimum 30 years varied experience in Banking/ Finance/ Administration/ Training and should have a flair for teaching including minimum 3 years of experience as faculty I trainer. Candidates with experience in elite teaching institutions at a very senior level, not below the rank of Principal/ Director, will be preferred. ₹1,25,000 with annual increase of ₹5000 per month will be paid subject to deduction of taxes as applicable. Eligible candidates may send their application in prescribed format (attached below) to General Manager (HRD), Oriental Bank of Commerce, HRD Department Corporate Office Plot No.-5, Sector-32, Institutional Area, Gurgaon, Haryana -122001 on or before 28 Feb 2019.